Long term success of your Home Repair business is determined by your motivation and capability to get stuff done. If you don’t enjoy what you are doing, motivation will slowly fade away and so will profit. In today’s economy with more families having 2 working adults the time to fix issues at home has gone down. Whether it is plumbing, roofing, flooring or anything else there is a growing demand for home repair types of businesses. That doesn’t mean it will be easy to compete in your industry as your business will still need to do a lot to stand out in a crowded competitive market. Starkey – “In small companies, having documented baselines for on boarding, training, expanding skills and replicating success is a critical measure.” “Scale can only be accomplished when habits of the organization occur without re-invention.”… Having to change processes to accommodate growth means you’re back at the beginning! What are they truly looking for? How can I reach more of them? Most business owners are intimidated by the probability of an employee who’s more knowledgeable than them. But when you’re in the home improvement business, owners should strive toward creating a team of excellence. The best way to ensure a company’s success is by hiring intelligently. Giving your customers greater visibility into your availability will allow them to schedule your work when it is convenient for them. 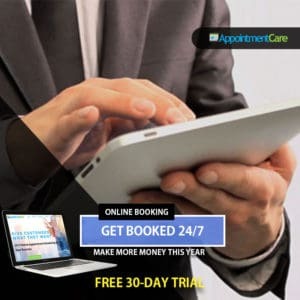 Some home repair businesses that rely on longer duration projects will use a tool like AppointmentCare for scheduling the initial quote consultation. 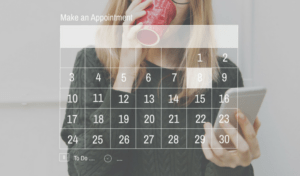 With a strong variety of features there is a lot of ways to set up your business for success with online appointment scheduling. On top of that the options and plans are very affordably priced for a small business and can grow as your business grows. Maintaining business records and notes can be daunting at first. Job assignments change constantly and unexpectedly. Miss a few details and execution becomes impossible, as well as, costs skyrocketing and referral chances disappear.